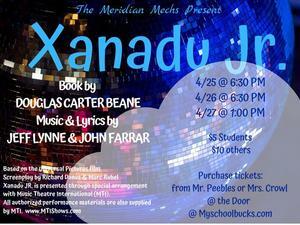 Meridian's Spring Musical, Xanadu, Jr., is this Thursday, Friday and Saturday! 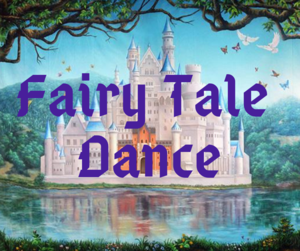 The board will meet at a regularly scheduled meeting Thursday, March 28th, 2019 in the old secondary cafeteria located in the High School. The meeting will begin at 5:30 to honor our staff members on the occasion of their 5th anniversary with Meridian. GUEST SPEAKER - "Let's Talk: Starting the mental health conversation with your child"
Over the past week, we are made even more aware of the need to keep communication open with our children and family. Karen Ranus, the Austin executive director of National Alliance on Mental Illness, is visiting on Tuesday, March 12th from 6p.m-7p.m. at the Meridian Middle School Cafeteria. Her 60 minute presentation not only covers tools for proactively addressing how to talk with our children about mental health issues, but how to respond to current conversations that may arise from our own experiences here at Meridian. 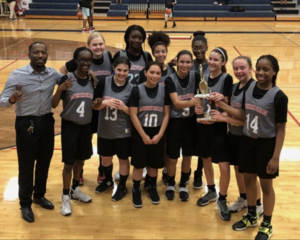 Even if you don't have a teenager, we encourage you to attend in order to be more aware of potential areas of concern for your growing child, so that you feel equipped to address issues if they arise. Karen is not only Austin's Mental health Leader and advocate for 2019, she is a mother whose personal story brings home the importance of communicating and understanding current mental health issues. 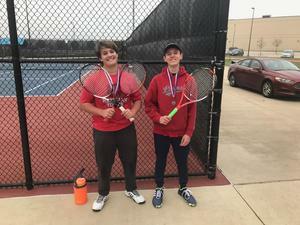 Meridian Tennis Earns 9 State Championships! We're pleased to share Meridian received an overall ‘Met Standard’ with a numeric score of 94 and with distinction designations in ELA/Reading, Mathematics, Science, and Social Studies.